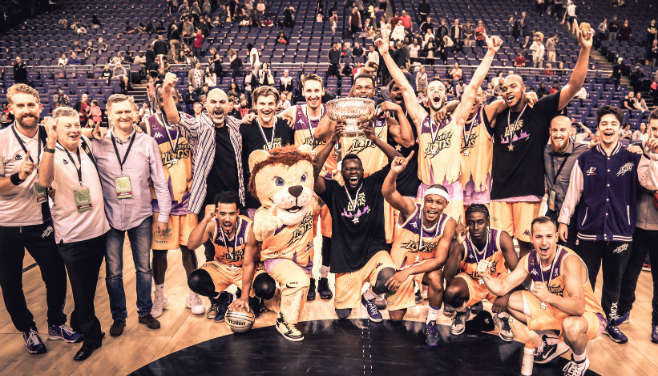 London Lions won the inaugural Betway British Basketball All-Stars Championship, beating Esh Group Eagles Newcastle 26-25 in the Final at The O2. “We are happy and I felt like we were meant to win this,” said Robinson. Head coach Mariusz Karol added: “It was really important for us to win this tournament because it was in London, and we were the home team. The Betway British Basketball All-Stars Championship introduced some exciting new innovations as the top eight BBL teams compete for a record-breaking £100,000 prize fund. Matches were just 12 minutes long with a 20-second shot clock while an all-Star 5-point line offered rewards for those willing to brave a shot from distance. Teams will also had a two-minute Power Play at their disposal, during which any points were doubled.